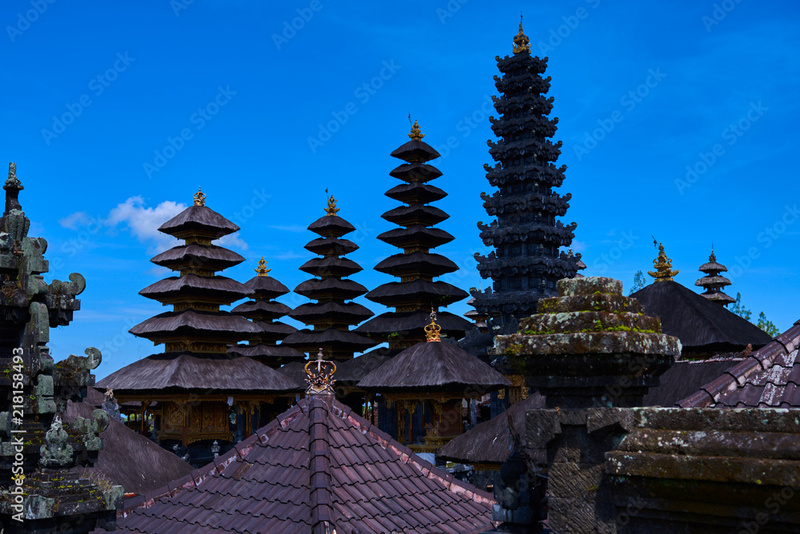 > Foto op Aluminium>Categorieën>Steden>Bali>Roofs of Pura Besakih temple, Bali, Indonesia on the bright blue sky background. Traditional balinese architecture. Buddhist pagodas. Main Bali temple Pura Besakih at the foot of the volcano Agung.